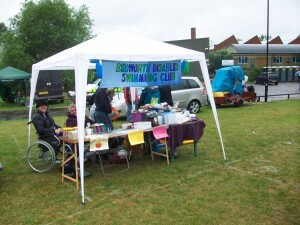 Bedworth Disabled Swimming Club is an independently run swimming club for disabled people and has been running for over 30 years. People of any age and swimming ability and of any disability are welcome and the sessions are free of charge to everyone. However, the club incurs expenses which is why they registered to raise money with easyfundraising . They also rely on donations and fundraising events to cover costs and recently held a stall at their local carnival in Nuneaton.